We offer a service as an Analytics agency where we help businesses track and measure their websites performance. Clients often tell us that they don't know how to measure they websites performance and want an Analytics agency yo help them. We offer two different solutions with regards to us being an Analytics agency to help solve this customer problem. Firstly, all of our services such as SEO services and Adwords services include the installation of Google Analytics on their website. This enables our customer to not only measure the performance of the campaigns that we are running for them but it also enables them to measure the performance of all of their digital channels. We also offer the chance for customers to use us as a separate Analytics agency to their current digital marketing providers. This is often because customers want a neutral third party to be able to track the performance of their various digital marketing channels. By us having no bias towards any of their service providers and by us acting as their Analytics agency, we are able to offer two main benefits. Firstly we can give an impartial view as to the performance of their digital campaigns. Secondly we can also offer suggestions on how to improve each of the channels performance. Our service as an Analytics agency enables our clients to get a trusted and neutral opinion of how their digital channels are working and how they can improve them. 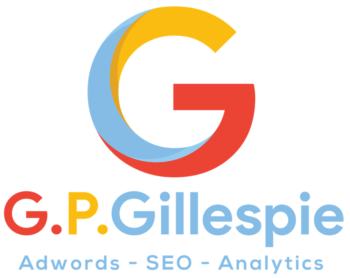 To find out more about our SEO services or Adwords agency, which include the full implementation of Google Analytics, click on the link for more details. Greg Gillespie, the founder of GPGillespie, was a graduate and lecturer on the Goldman Sachs 10,000 Small Businesses program.